Enjoying a drink once in a while is fine only if you are aware of the limits. Binge drinking or regular intake of alcohol over a period of time is potent enough to ruin an individual completely in every aspect – physically, psychologically, socially, and economically. Alcoholism perpetrates violence, accidents, and heinous crimes in society. With Alcohol being the third leading preventable cause of death and 27% of the US population engaging in binge drinking as per National Institute on Alcohol Abuse and Alcoholism, it is important to raise awareness and prevent alcohol abuse. Need more reasons? Let’s tell you more on how bad alcohol can be for your body. Drinking habits severely interfere with your ability to think clearly and can trigger blackouts, anxiety, depression, and gradual loss of memory. It can cause permanent damage to different portions of the brain and have a profound effect on an individual’s behavioral patterns as well as moods. Drinking beyond a certain limit leads to slurred speech and hampers coordination. Susceptibility to injuries increase multiple times, since one might easily stumble and fall due to loss of balance. Physical debility, delirium, hallucinations, seizures, and dementia are other terrible consequences of alcoholism. The heart can tremendously suffer due to the uncontrolled consumption of alcohol over an extended period time, which takes a heavy toll on your circulatory system. Some of the common side effects of drinking include arrhythmia or irregular heartbeat, cardiomyopathy, and escalating blood pressure, thus multiplying your risk of heart attacks and strokes. The weakening of heart muscles further increases the chances of heart failure. Heavy drinkers are much more prone to developing lung infections due to compromised immunity levels. They are also more susceptible to pneumonia and lung collapse. Vomiting due to excessive drinking can choke the victim to death if the vomit gets drawn into the lungs. Regular intake of alcohol leads to the formation of fatty deposits on the surface of the liver. After a certain period of time, inflammation might develop which results in alcoholic hepatitis causing acute liver failure. Alcohol is strongly connected to lethal diseases such as cirrhosis and liver cancer. Regular drinking causes chronic pancreatitis. When inflammation occurs in the pancreas, an individual has to endure excruciating pain and bouts of vomiting accompanied by fever and rapid loss of weight. 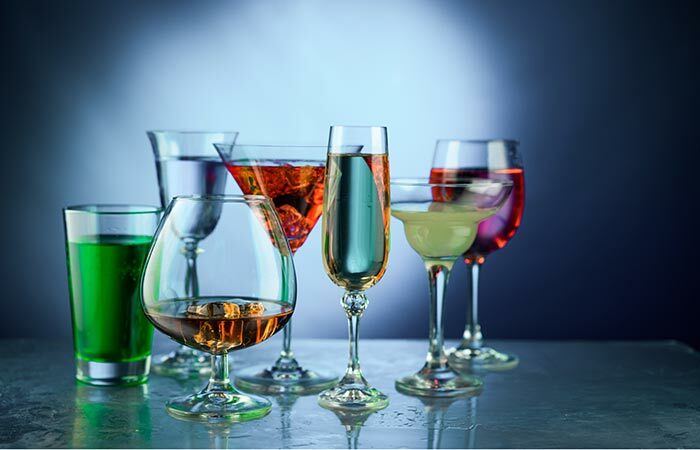 Alcohol has several serious consequences on your digestive system. It can cause ulcers in your stomach and esophagus, chronic inflammation, acid reflux, and fatal internal bleeding. Excessive drinking might result in the formation of cancerous polyps or tumors in your large intestine or colon. Damage to your colon prevents the proper absorption of the vital nutrients from food. In case of women, drinking habits can lead to infertility, miscarriages, still-born, or premature delivery. It can have an adverse impact on the fetal development resulting in serious birth defects. More info can be found at: Alcoholics Anonymous and Centers For Disease Control And Prevention. Written by Benjamin Roussey for bodono. Benjamin Roussey is from Sacramento, CA. He has two master’s degrees and served four years in the US Navy. His bachelor’s degree is from CSUS (1999) where he was on a baseball pitching scholarship. He has an MBA in Global Management from the Univ. of Phoenix (2006) where he attributes his writing prowess. He has worked everywhere from small businesses to large corporations, and also for public agencies. He has lived in Korea and Saudi Arabia where he was an ESL instructor. He misses Saudi food and living in Korea. Benjamin has a tremendous work ethic and is quite focused. Now he writes professionally for several clients that covers one sector of our economy to another. Currently he lives in the Phoenix area after living in Cabo San Lucas, MX for 3 years. He enjoys sports, movies, reading, and current events when he is not working online: www.infinista.com.